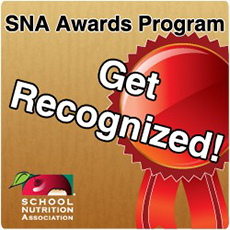 SNA celebrates and recognizes every-day heroes: school nutrition professionals who work every day to ensure well-nourished students across the country are prepared for success! 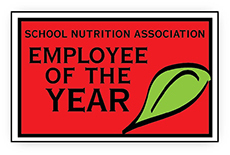 Members are eligible for many awards and honors that recognize their achievements in school foodservice, leadership, membership recruitment and professional development. Each year SNA awards are presented to its outstanding members at the Annual National Conference (ANC) during the State Awards Ceremony and General Sessions. Nominations are due online or to the State President by March 1 of each year. 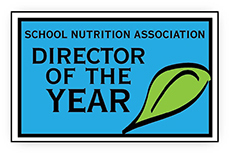 Find out more and nominate someone you know at www.schoolnutrition.org/awards.